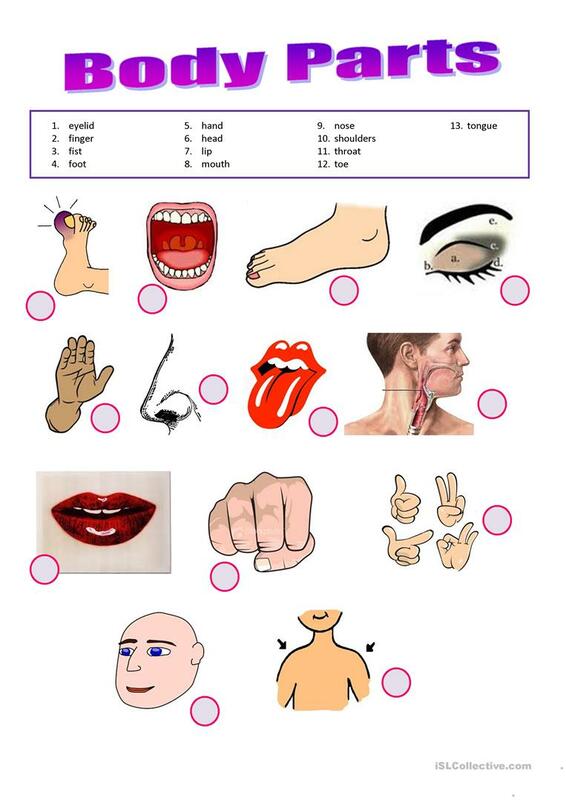 Match the words with the body part and then with the verb. Print both pages on 1 pages, it is easier for the students. 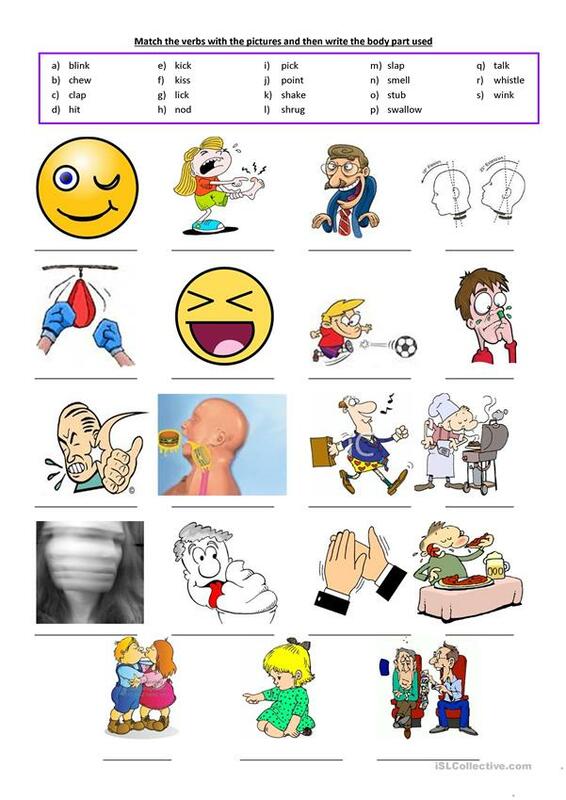 The present downloadable printable is meant for adults at Beginner (pre-A1) and Elementary (A1) level. It is useful for enhancing your pupils' Reading and Writing skills. It focuses on the theme of Body.